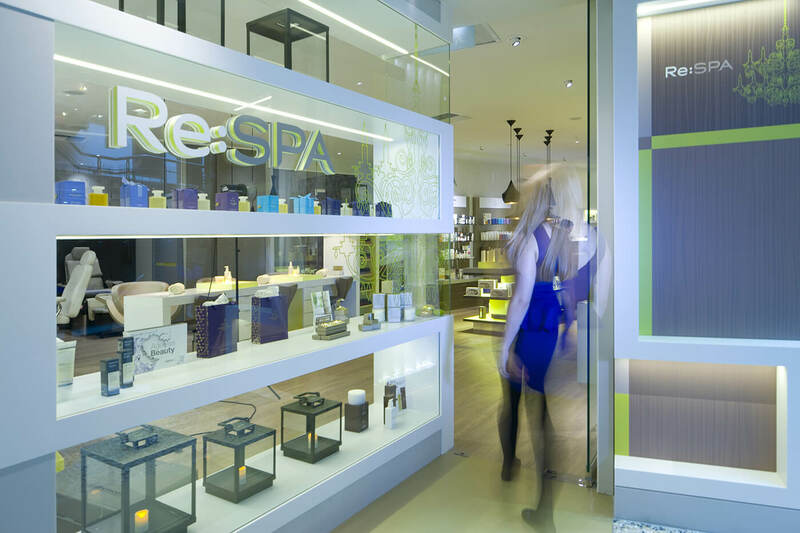 Sparcstudio created an entirely new spa concept, brand and offer within the Reebok club called ‘Re:spa’, located within the luxurious 100,000 sq foot club at Canary Wharf. Designed to appeal specifically to the dynamic 9,500 fitness membership, within the front half of the spa, they created a lively ‘Express zone’, which can be viewed through a funky new ‘shop front’ display window. Designed to encourage ‘social spa-ing’, and also to have ‘man appeal’ (important given that 60% of the membership is male). It is a fun, relaxing space with a fresh citrus colour palette. 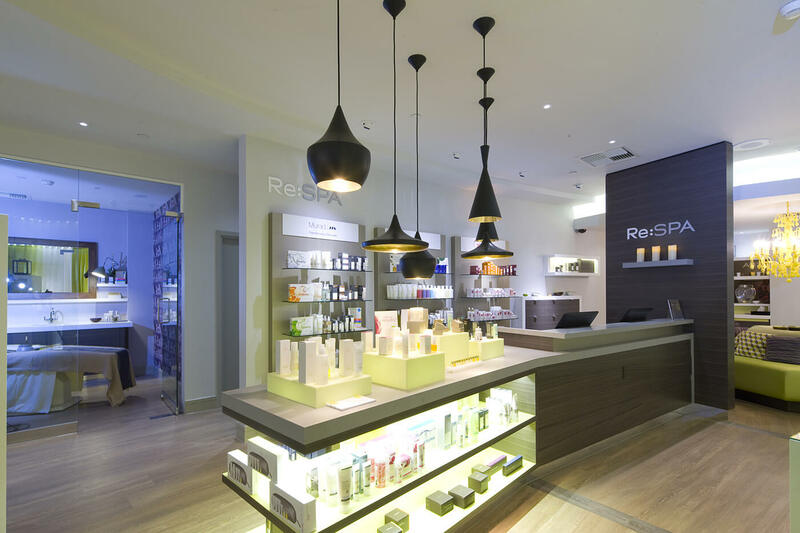 On offer is a new menu of quick fix treatments including a champagne manicure bar, pedicure zone & makeup area surrounded by lots of enticing retail and a flexible male groom/express treatment room. 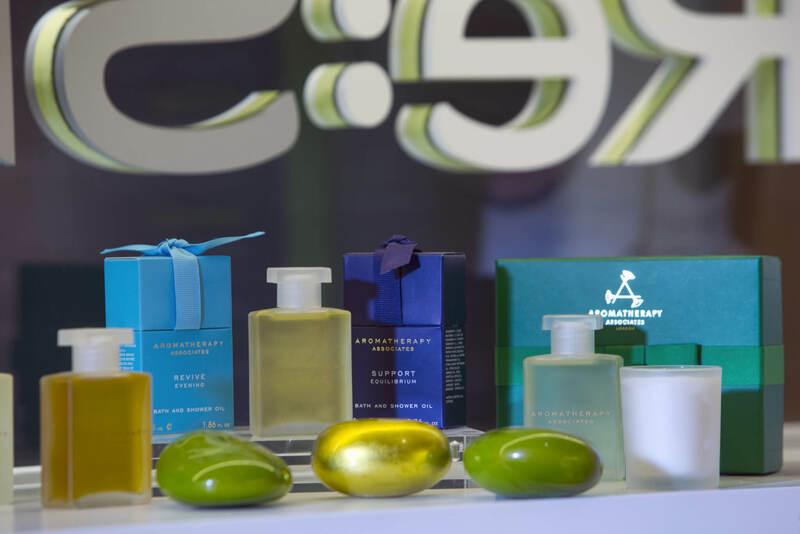 There is an extensive product range including Aromatherpy Associates & Murad, (America’s first Authentic doctor developed brand) Murad was selected as being a great fit with the club, particularly as they advocate a comprehensive ‘inclusive health lifestyle’ approach. Beyond this area, guests can wait in a quirky lounge area (complete with bright yellow chandelier) before entering the more indulgent private treatment zone. Soft lighting and a soothing palette of warm greys, midnight blue and silver create a suitable backdrop for health and well-being treatments as well as beauty and grooming. A tranquil space, situated in the heart of a prestigious sports club. 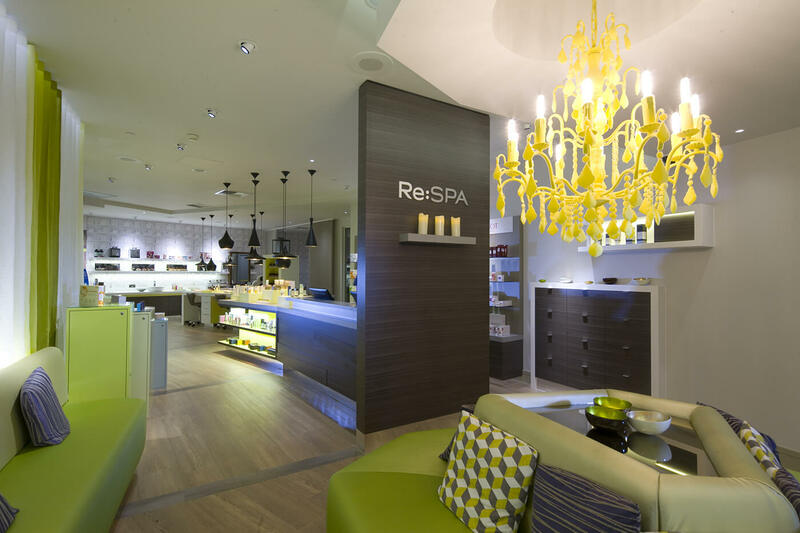 There’s no denying that Re: SPA at the Reebok Sports Club at Canary Wharf is high end. 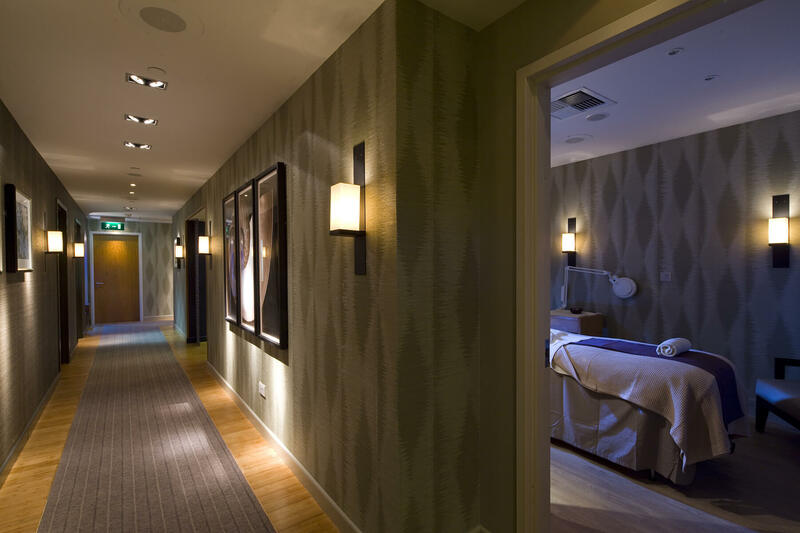 It’s modern, smart, welcoming and the perfect setting to indulge in a pampering treatment or resolve the niggling injuries or muscle and skeletal issues from working out in the gym.